The Ford Mustang is going to be well-represented at the 2017 SEMA Auto Show, as a total of seven different creations are all set to be in attendance. One of these Mustangs comes to us through the SpeedKore Performance Group, the the Wisconsin-based tuning house that stole the show at last year’s event with a Mustang that was literally covered from head to toe with carbon fiber panels. 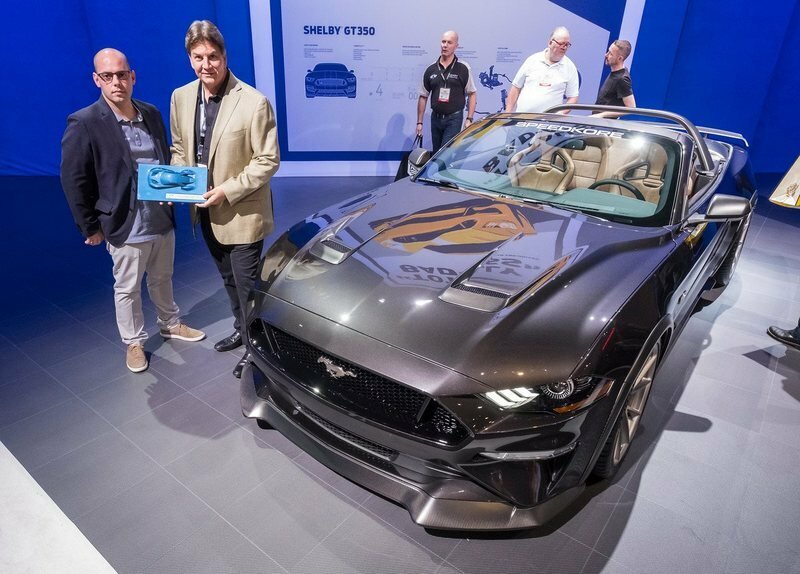 It was without question one of the most-talked-about cars at the event, so it’s no surprise that SpeedKore’s returning to the scene of one of its greatest triumphs with a new aftermarket interpretation of the iconic pony car. Truth be told, the tuner’s new program is probably not as memorable as last year’s creations. But, that’s not necessarily a bad thing because that model literally turned into one of the most significant tuning programs for the Mustang we’ve seen in a while. 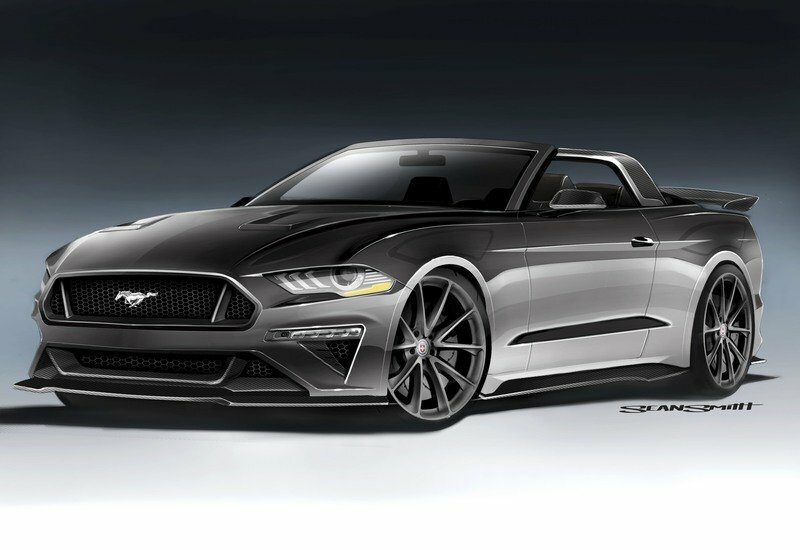 This year’s version is important in its own right, largely due to the similar approach that SpeedKore adopted, including the prominent use of carbon fiber and the promise of putting focus on the ‘Stang’s classic American roadster heritage. The result is what you’d expect from a company like SpeedKore. 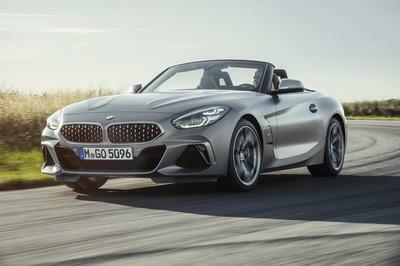 It probably won’t be the showstopper that last year’s model was, but it’s certainly capable of stealing the spotlight. Continue after the jump to read more about the Ford Mustang by SpeedKore. 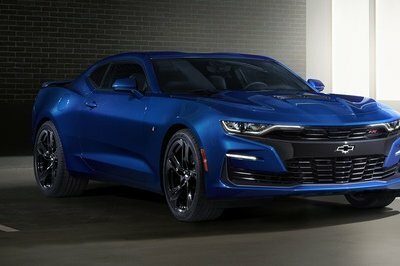 The muscle car gets mirror covers, air vents, rockers, splitters, speed flares, exhaust tips, a spoiler, and a diffuser. From a purely stylistic point-of-view, Speedkore Performance Group’s take on the Ford Mustang is arguably the best of the bunch. It follows the theme of a “classic American roadster,” even though it doesn’t show as much from an exterior perspective. I get the theme and the purpose behind it; I’m just not sure that a full-on carbon fiber aerodynamic kit fits into what the tuner wants to accomplish. The muscle car gets mirror covers, air vents, rockers, splitters, speed flares, exhaust tips, a spoiler, and a diffuser. All are made from carbon fiber. The finished product certainly looks like an authentic American roadster, but I wouldn’t necessarily describe it in classical terms. Even the set of 20-inch, P204, brushed aluminum, HRE wheels look completely modern, as do the Michelin Pilot Sport 4 S tires that they’re wrapped in. Still, there’s more to this program than the exterior upgrades, and we’re going to see from the perspective of the interior where the “classic” part ties into the whole thing. Note: Standard Ford Mustang pictured here. The interior, on the other hand, is where the real magic happens. Give Speedkore this much credit: it stuck to its theme even though the exterior barely has anything that ties up to it. The interior, on the other hand, is where the real magic happens. This is where the classic theme is at its most prominent, specifically the Bomber Brown leather treatment on the whole interior surface of the ‘Stang. That’s complemented by even more carbon fiber bits, including parts found on the front and rear door panels, the roll bar, and even the Tonneau cover. Likewise, a carbon fiber dash appliqué from Ford Accessories is noticeably present, creating a nice balance of modern and retro styling in the cabin. Together with Speedkore’s own custom titanium cat-back exhaust system, this Mustang has more to it than meets the eye. This classic American Mustang is more than just about swag and style. 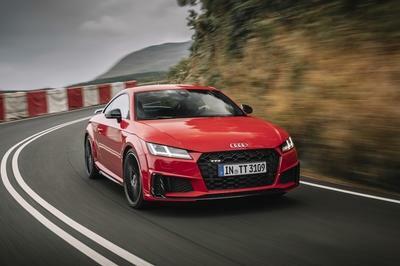 Underneath all of it sits a 5.0-liter V-8 engine that, at least in standard configuration, makes 460 horsepower and 420 pound-feet of torque. The thing is, there’s nothing “standard” about this particular Mustang’s engine makeup. For one, a supercharger - from Roush Performance, no less - has been thrown into the mix. Together with Speedkore’s own custom titanium cat-back exhaust system, this Mustang has more to it than meets the eye. It’s unclear how much extra power it gets because of the supercharger, but given Roush’s history of tuning America’s greatest muscle car, it wouldn’t at all be surprising if there’s somewhere around 600 to 700 horsepower underneath that hood. That’s a possible output range if we’re talking about Roush’s 2.3-liter Eaton TVS supercharger, which is the same supercharger it used on the Mustang Trakpak program from 2015. 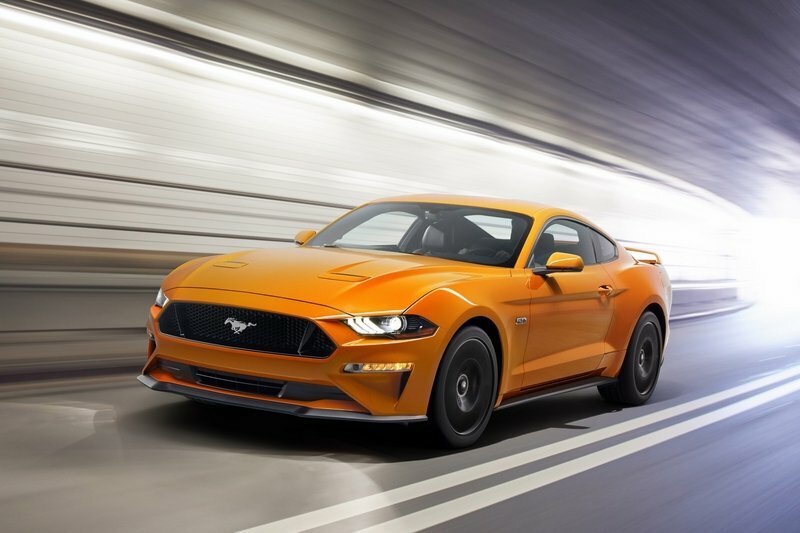 Whatever the size of the supercharger, this is a potent Mustang, and it’s made more dynamic by a ten-speed automatic transmission that should also make it a ball to drive. Add a Pro-Street-S coil over kit from Eibach and Brembo brakes, and you have the makings of a legitimate performance Mustang. 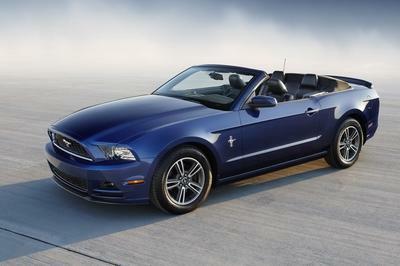 Imagine blasting along any one of America’s highways with the top down and around 600 ponies at your disposal. Speedkore’s Mustang build can make that come to life. Think of it if you must, but from my perspective, Speedkore’s Ford Mustang build actually fits into what the tuner’s theme is. All that carbon fiber notwithstanding, this Mustang is a classic American roadster in every sense of the word. The interior is a complete throwback to yesteryear, and the presence of that Tonneau cover helps add to its all-American charm. And then there are the engine upgrades. Sure, the new output is being withheld from us, but you can be sure that there’s more than just 460 ponies and 420 pound-feet of twist sitting under that hood. It’s actually impossible to have that kind of output when Roush Performance is involved, so I’ll leave it up to your imaginations, or at least until we know more about the build when it arrives at the 2017 SEMA Auto Show. Either way, this is one sick Mustang build. Read our full review on the 2018 Ford Mustang. 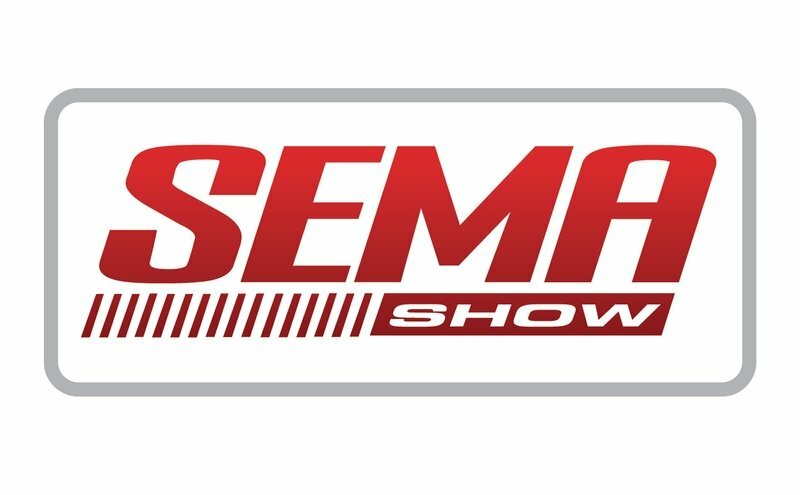 Read more news on the 2017 SEMA Show. 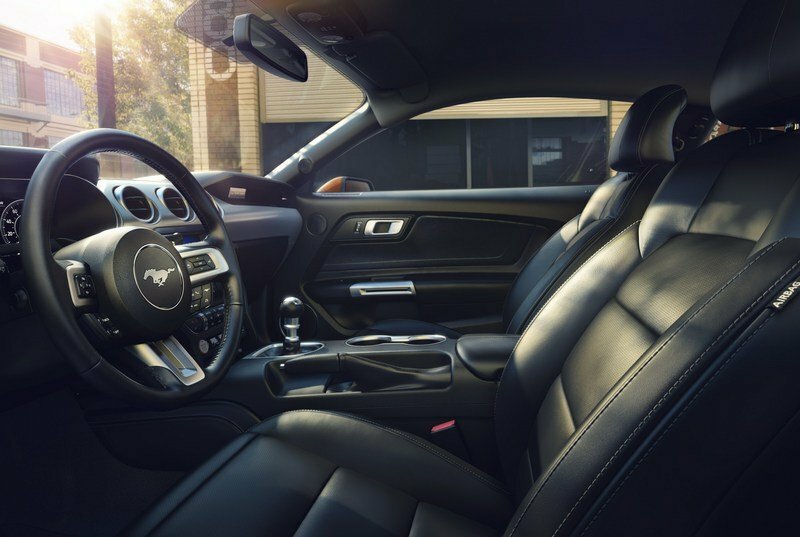 This 2018 Ford Mustang GT Convertible features the best of both worlds, with modern performance and powertrain options such as carbon fiber aero touches and updated suspension and powertrain enhancements. The classic American roadster theme is evoked with handmade trim, brushed aluminum accents, and an all-leather Bomber Brown interior. This striking automobile features a carbon fiber roll bar with aluminum trim. 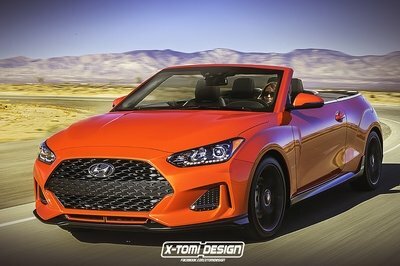 The tonneau cover is a modern throwback to classic speedsters and racecars from the 1930’s.